I decided to have reflexology as a means of balancing a very busy life. I work full time and also take part in a lot of sporting activity such as running marathons and playing squash. I have a session with Fiona once a month and I look forward to them in the knowledge that it will leave me feeling much calmer and relaxed. The actual session is an hour of absolute pleasure and the ongoing results are wonderful. Fiona’s treatment room has an air of tranquillity which together with her calm, gentle and professional manner means that when I walk through the door I immediately start to feel better. It is like an oasis of calm in an otherwise slightly chaotic life! I can’t recommend Fiona highly enough. I have had a few sessions of Reflexology with Fiona. I had been feeling very stressed from work and life in general and as a result felt quite unwell and had little or no energy. I look forward to my regular sessions and feel that I am taking preventative measures with my health. I would highly recommend Fiona as a Reflexologist as she has a very gentle and caring approach. I decided to try reflexology to see if it could help me cope with the stress I was feeling in my life as I had started not sleeping and had regular bad headaches as a result of my stressful lifestyle. After the first treatment I felt very tired and slept really well and this pattern continued for the next sessions. Fiona helped me to make small changes to my lifestyle that has helped me. 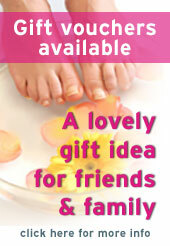 I would recommend reflexology and Fiona in particular as she has really helped with my stress levels. I would highly recommend a reflexology session with Fiona. Just one hour a month helps to keep my hormones regulated. She is very in tune with the client and helps you to relax and forget everything else for an hour.